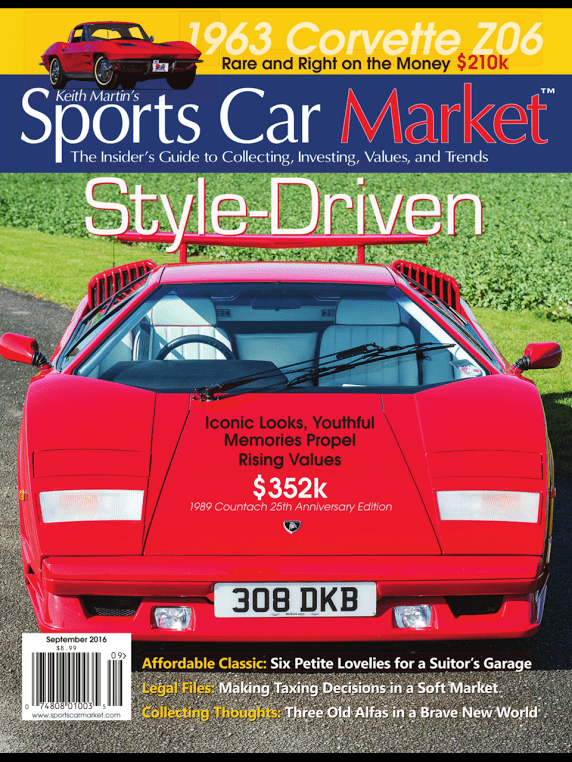 Ask anyone who is really passionate about collector cars and they will tell you that Sports Car Market (SCM) is by far the best domestic industry publication. John “Cheech” Fernandes at Rennwerke Porsche reads it religiously. Dean Laumbach is also an avid reader and longtime subscriber. Pretty much every industry insider that I respect are longtime readers and subscribers to SCM. Over the last year I’ve been fortunate to get to know SCM’s founder and publisher Keith Martin. 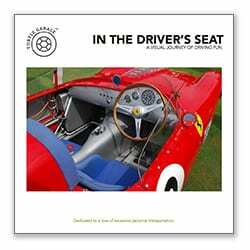 Keith is widely considered an industry expert and is a regular fixture on the Concours car circuit. People respect Keith’s deep industry knowledge. His opinions on values and trends move the collector car market. He has decades of expertise and produces a first-class magazine. Above all, he is just a terrific guy to be around. Over the past year I’ve written four articles for SCM. I’ve shared all of them on this blog and they can be accessed here.. Usually, SCM editor Chester Allen asks me to write about specific cars, trends or events. Periodically, SCM World Headquarters gives me some latitude and I write stories based on my own ideas. For example, I recently wrote a piece on building a car collection for $100,000. I have grown to love writing for Sports Car Market. I find it relaxing and fun to pull together a story. I also enjoy learning something new. In June when I wrote the cover story on the Pagani Huayra I learned so much about the fascinating life of the company’s founder Horatio Pagani. Being a very part-time writer, it sure helps to have a Samurai line editor as a wife. Even famous writers like F. Scott Fitzgerald and Ernest Hemingway benefitted greatly from the editorial help of Maxwell Perkins. A great editor can be the difference between a mediocre piece and an extraordinary one. Without Sarah’s editorial support my articles for SCM would surely not be published. In life I always reach out to experts and it really works. Never be afraid of what you don’t know, but don’t pretend to know something you don’t know! The September SCM cover story is my recent article about the meteoric rise of the Lamborghini Contauch as a serious collector car. I wrote the article on a recent flight to and from Germany. Sarah then edited it ringside in the spectator pavilion at the Lake Placid Horse Show. Follow the link below to read the full story. 3 Responses to Turtle Garage Lands Sports Car Market Cover Story….Again! When I was in the ad biz we worked for The New Yorker. One day I went to a lunch where one of the writers was to speak. I sat down and found myself next to his editor. In my innocence I asked “what does an editor really do?” He said, “it’s pretty simple”. “An editor is a surrogate for the reader.” The sentence changed my life as an adv. writer. Great article written about the car I dreamed of owning during my early college days. The article brought me back in time !!! I can truly understand the vehicle upside in appreciation, as it’s styling was way outside the box !!! Just about every carguy from our generation had a Contach poster hanging somewhere alongside their Heather Thomas, Heather Locklear, or Samantha Fox poster. Lol !! !